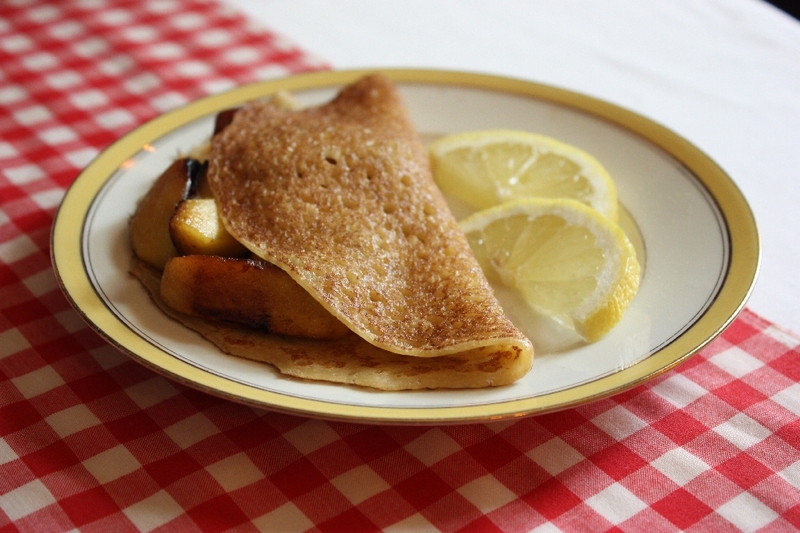 The concept of a German pancake very much depends on which part of the country you are currently visiting. In the Rhineland a “Pfannkuchen” is a rather fluid mix of eggs, flour and milk, rather flat and wide, somewhat like a French crêpe. In Berlin this would be called “Eierpfannkuchen”, while a plain “Pfannkuchen” denominates a deep-fried jelly-filled doughnot (without the hole). Something that would be called a Berliner here in the Rhineland. In the United States “Pfannkuchen” are pancakes and, being part of the cultural heritage on breakfast tables between Florida and Oregon, Arizona and Maine, are pretty much the same all over the country. They are thick, soft and round and saturated with butter, maple syrup and honey. My friend and teacher J. and I spent a lot of time together, some 20 years ago. He as a highschool-teacher and I his student. Since then we haven’t seen each other. There were some letters in the beginning and recently we became friends on facebook. That’s how it goes, about nine hours by plane apart. Over the years our brains reduces our memories to certain pictures and images. Thinking of J., I think of pancakes and a sunny sundaymorning in a café where we did some fundraising action for the next theatre production. I see a picture of him at the stove, happily baking dozens of pancakes, that we, his students waitered in small stacks to the present guests. An image that couldn’t be more vivid, I can almost smell the maple syrup and still feel the hopefull mood we were in. In preparation for this text, looking through my albums, I discovered that this foto doesn’t exist at all. Not in collections I found nor anywhere else. No concentrated J. flipping pancakes for hours, no thick batter, no butter and no maple syrup. Only in my head.